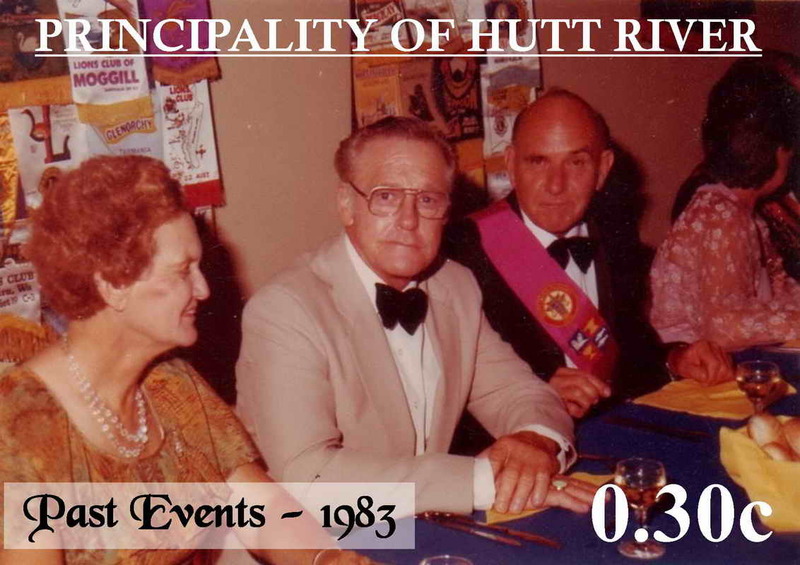 April 21 2016, the Principality of Hutt River celebrates its 46th year of Independence. 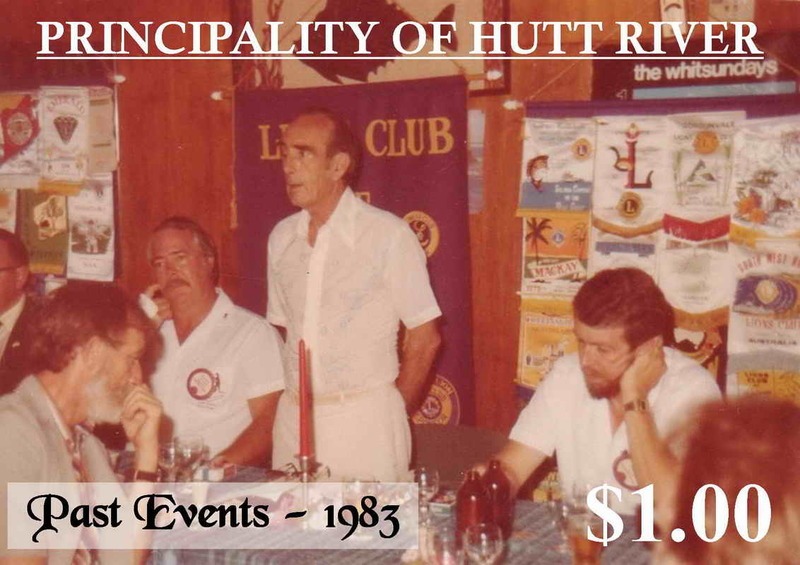 What better time to release the next in the promised series commemorating many “Past Events” experienced by HRH Prince Leonard and the Principality of Hutt River in the short but hectic life of this small country. This Postage Stamp issue is titled “Past Events—02”, the second issue in the series. 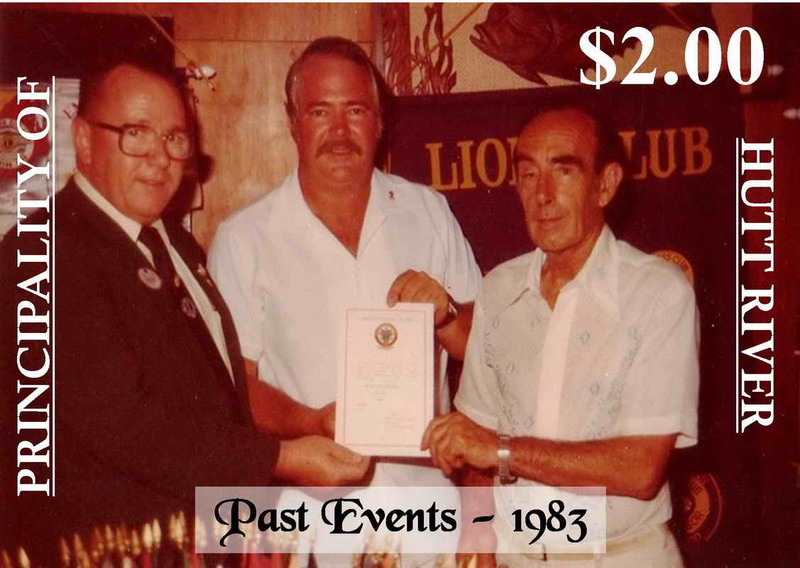 the State President of Lions Clubs Mr Don Bryson, Councillor the late Mr Don and Mrs Allison Cameron Chairman of the then Calliope Shire Council (Qld). 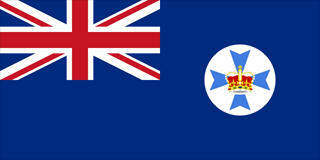 There was also an official 'meet and greet' followed by a dinner with the Lions Club of Port Curtis (Qld). 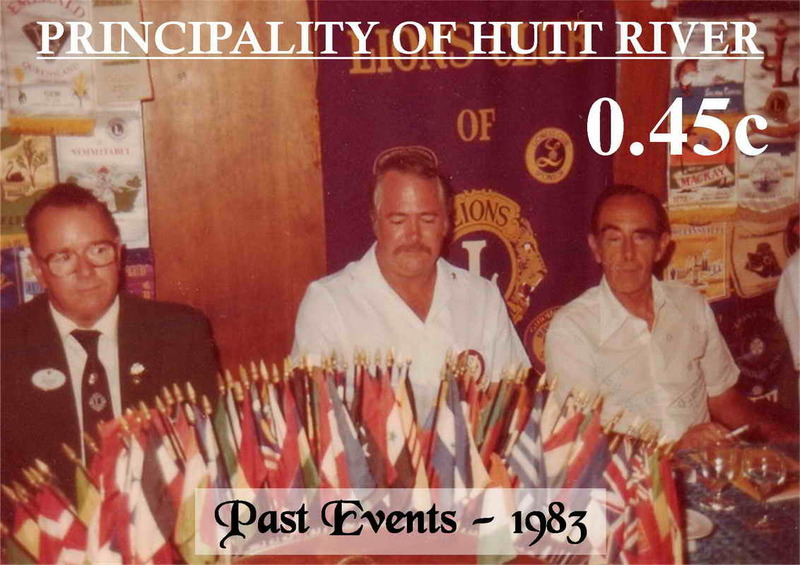 meet up with many of the PHR's senior Military Officers, their families and friends who resided in that part of the world, so distant from the Principality. 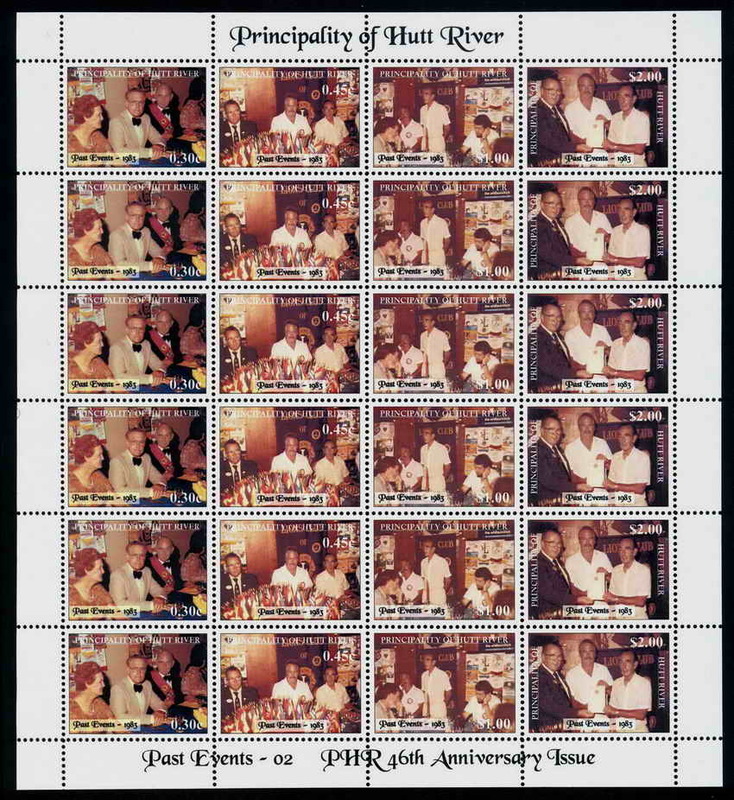 This stamp issue in it's making has bought many of those fond memories back to HRH who is happy to have the time remembered by the issuing of this set of stamps. Good friendships were once again both formed and strengthened as a result of this tour, with many of the people of that time still in contact with the Principality today. $1.00c .......... HRH Prince Leonard delivers his Greetings, speech and thanks to all present. The FDC's comes with a supportive information card on the issue inside! All prices shown - PLUS POST! Stamp, Cover & Card Design by: Lord Steven G.P. Baikie KGCRO., ADC.